In addition, enna cycle comes with its enna box sterilizer box. How to use enna box? 1. 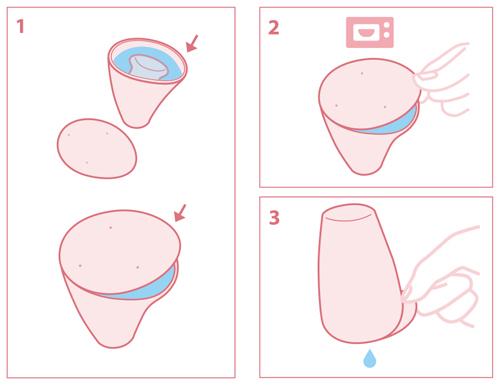 Place the menstrual cup inside the box with water, so that the box remains with the lid open. 2. Place enna box in the microwave at 700 W until the water boils (approx. 3 minutes) or pour some boiling water into the enna box and let stand for 3 minutes. We recommend sterilizing it once a month, before the beginning of the period.